I am a Freelance Writer-Photographer and Novelist. I travel to find inspiration, wherever the distant horizons lead. Camping is a lot of fun and with a few guidelines and armed with good information, you can avoid problems and mistakes that can dampen your time in the wild. There is a lot to consider that can easily be overlooked. Create a list of essential camping gear for the trip. You can find lists in 4WD and camping magazines, and they are very comprehensive because of legalities and avoiding leading people astray. The problem is, an overloaded vehicle can have more trouble in mud, sand and on wet roads. Be smart, be conservative and pack what you NEED for the trip. 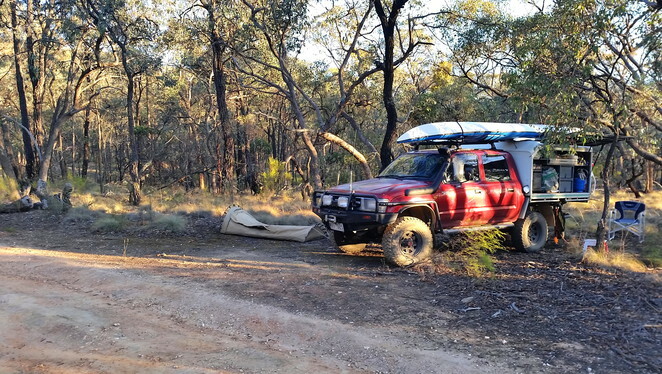 Assuming you have an average car and plan to perhaps own a capable 4WD later, here is a list of recommended camping gear. 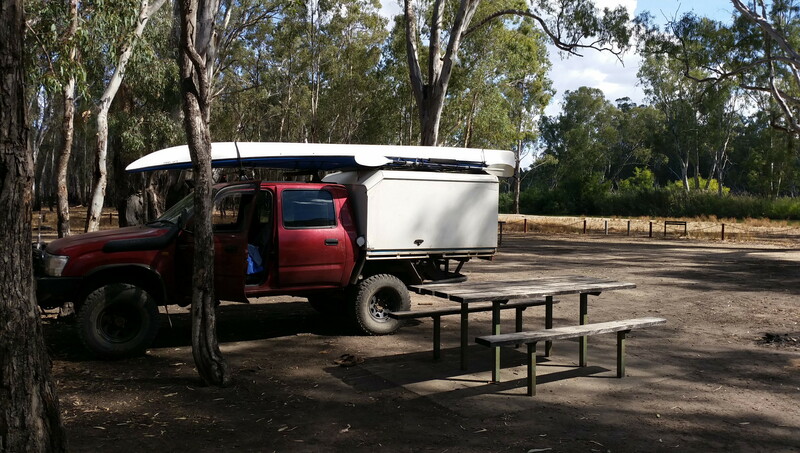 I only use a small list of consumables and clothes these days, as the rest is permanently located in the 4WD canopy, and it saves a great deal of time. One golden rule when camping is ALWAYS put things back in the same place so they can always be found. 10 or 20 litre jerry-cans will do. The smaller ones are much easier to carry and store in the boot. Most service stations and parks with barbecue areas have water. In the outback you will need a vehicle capable of carry perhaps 100 litres of water and more in fuel if you are staying away for days. Service stations may say no because of water shortage in low rainfall areas, and buying water in plastic containers is expensive. Note that water and fuel weigh around a kilogram a litre. Add this to your camping gear and food and the number of people and your car manual will tell you the load carrying capability of your car. My old 4WD can carry about 1000 kilograms because the suspension has been upgraded. Most SUV's do not compare and would not cope. However for simple weekend jaunts the need for fuel and water is nowhere near that of a long outback run. Keep it simple unless you have a large vehicle with a car fridge-freezer, and dual batteries to power a fridge without draining the main battery. There are some great camping recipes around. I try to take frozen meals that can be heated quickly after a long drive or day of activities. It is quick and food in remote towns is very expensive. Good ole' spaghetti bolognaise is a good energy food and a popular favorite. Pots, pans and utensils can be found at good camping stores, and there are sets that can be packed inside the pots for space saving. Stoves can be compact too, and there is a great range of compact models available - choose your camping store here. Small tents with small camping pillows, self-inflating air mattresses and sleeping bags to suit the climate are a good option. In Queensland you might not need one rated to minus 10 degrees and the same applies for the south - in the High Country your warm climate bag might leave you frozen like Walt Disney. Camping stores have light weight blankets for early spring, winter, and late autumn. A claw hammer is a must for knocking pegs in and removing them afterwards. Swags are great if you have the room because they take less time to roll out, or knock in 4 to 6 pegs. When it comes to speed, few options beat a 4WD with a canopy and swags. Shade for summer is necessary as you might want to be close to the car where shade might be minimal. Tarps are inexpensive but free standing shade covers are best for longer stays, and roll out awnings can be purchased and attached to 4WD canopies or wagon bodies. Does you car overheat or the tyres go down slowly and you are too busy to fix the issues? A long highway run might see you beside the road away from towns in the midday heat of 38 degrees. Fix problems before going away, and test the repair is adequate, this applies to problems such as a car overheating, because it can be more a more involved repair. Take hats, suncream, matches, coats for all seasons (sometimes it snows in the high country in summer) and walking boots for long walks in rough terrain. Your feet will hurt less. Buy day-packs and water bottles to take on ALL walks. Remember clothes, towels and toiletries, including toilet roll. Many camp grounds have toilets - be self sufficient and you will never have to worry about anything. When it comes to toilets, Portaloos make life much easier, and the accompanying pop-up tents are quick and simple to erect. Find free and cheap camping across Australia here. A GPS, compass, and maps are all important, and don't expect reception for google maps. Read about where you are going and your state's park's sites will tell you about the climate and seasonal changes, and camping. 4WD magazines will tell you more about everything. If you are heading far away from major towns, search online to find out where service stations are located. This is more of an issue in the outback, but winding mountain roads can make distances greater than expected and fuel stops can be hard to find. Buy maps online here. A basic tool set with open end and ring spanners, pliers and screw drivers will save you from dramas, especially if something simple like battery terminals vibrate loose on rough roads. Also, loose and leaking radiator hoses will be less of an issue. A fairly, capable car battery-operated tyre pump is a good idea too. 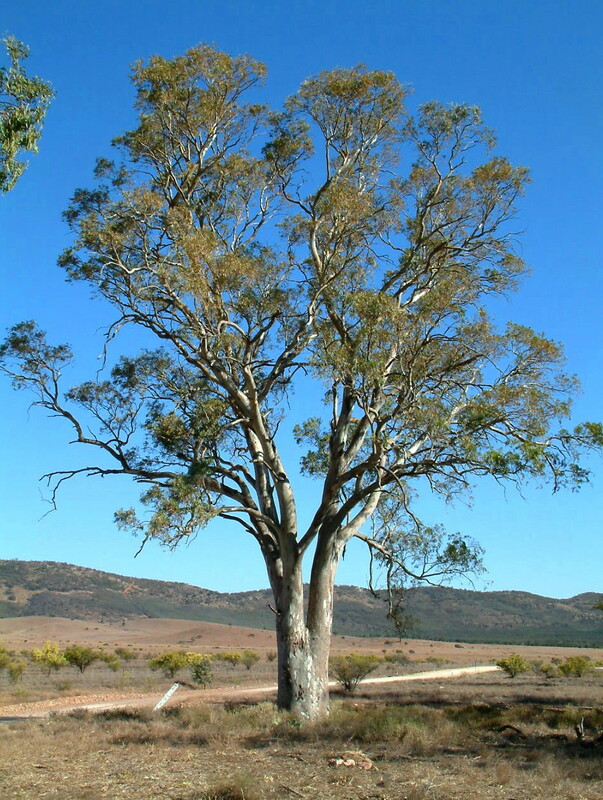 Do not camp under tree-branches, particularly river gums in areas such as the Murray River. They are known as widow-makers because of the number of people who have died in the past from branches that fell with little warning. As the sun lowers in the afternoon, shade will swing well away from trees and reach tents that are over 10 metres away. Don't camp in dry watercourses, an outback flood a hundred or more kilometres away can drown you in metres of water as you sleep. It is a rare event, but possible. Those sandy banks under a tree may look tempting, but look for the stain of high water levels metres up tree trunks, they are obvious when you look for them. Snakes love long grass, and if you must walk there, take a long stick and thump it as you walk, the extra ground vibrations will help scare them off, and proceed slowly. Give them time to leave. As a general rule, observe and enjoy wildlife and let them be - they prefer to be left alone. Take a first-aid kit and know how to use it. A bandage tourniquet may save a life in the event of a snakebite. Do not under-estimate the sun and think you will be fine without a hat or suncream all day. You might be surprised if there is little shade, just how quickly sunstroke can set in. It takes days to recover. My next camping articles will be more in-depth, with more about off road driving and vehicle types and places to go. When you have a good grasp of the 'how-tos' have the time of your life in this great land. Why? If you are planning your first camping trip, a few 'how to's' will make it more sucessful. When: Depending on the weather and climate, camping can be done all year round. Where: There are many possibilites for camping across Australia. Cost: See you major camping stores for the equipment to suit your individual needs. A good list Andrew. Although camping is a little too much back to nature for me it can be a good way for a family to have an affordable holiday.